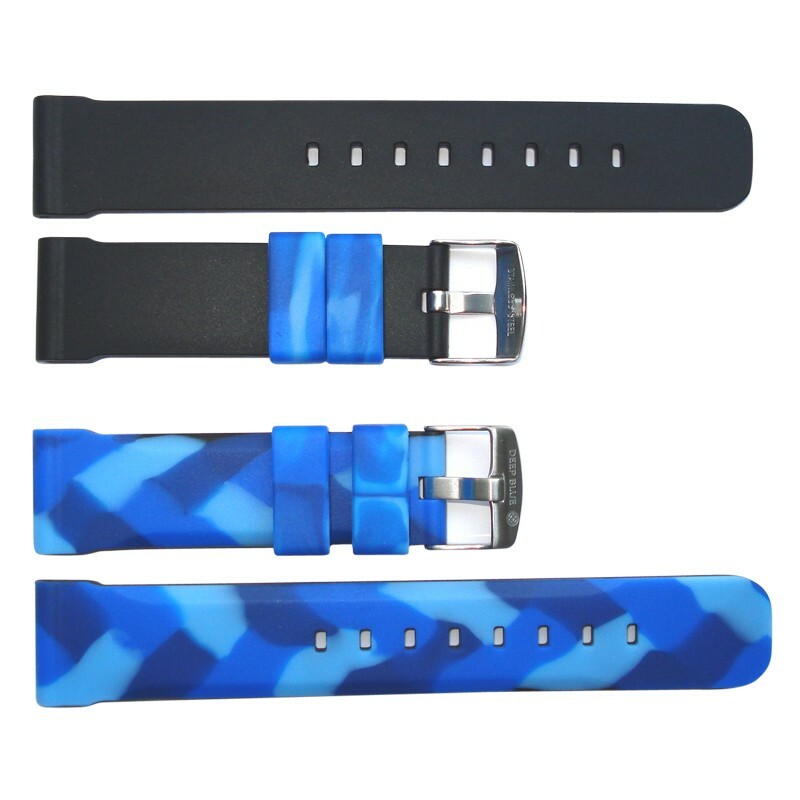 22mm Blue Camo Reversible Strap "Deep Blue" Logo On buckle. 130/75mm-5 1/4 inch/3inch. Camo-one Side, Black-One Side (Keepers will be Camo color) Fits Ocean Diver 500 Master, 2000 Models.